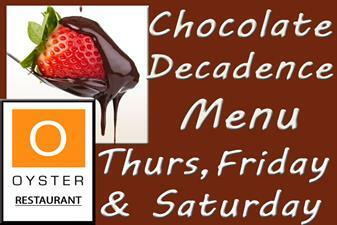 In honor of Valentine's Day Oyster will be featuring Chocolate Decadence options on their menu! 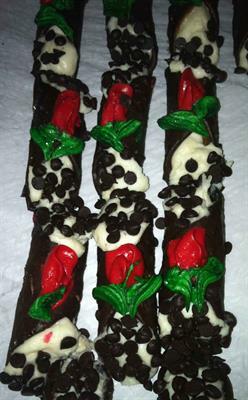 -Chocolate dipped bacon, chocolate balsamic vinaigrette with chocolate encrusted chocolate bread pudding croutons. 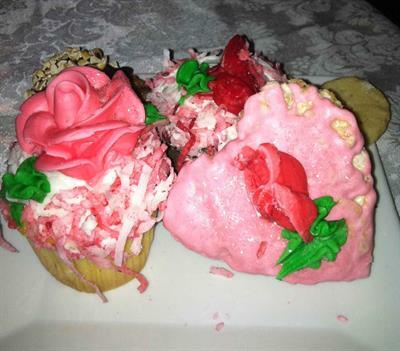 -Chocolate desserts including chocolate almond bar coconut cake, chocolate layered cake, and assorted chocolate strawberries!